Does the UK need a Designated Survivor? A tweet by Larissa Brown, the defence editor/journalist from the Daily Mail, started of a serious and playful discussion, with other like-minded journalists thinking they could be Designated Survivors. But seriously, does the UK need a Designated Survivor? 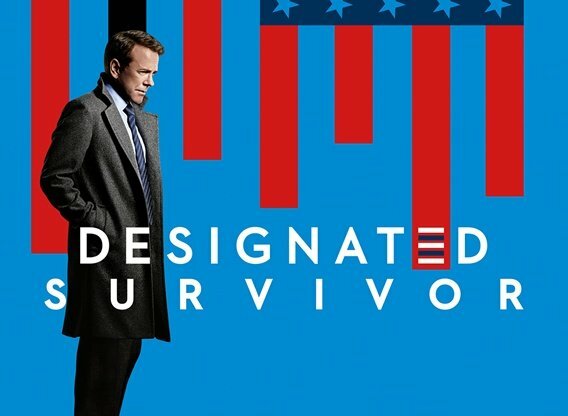 What is a Designated Survivor (DS)? Mr Wikipedia and Mr Google have lots of information, sometimes exaggerated or inaccurate on this phrase. Anyway, such a term or individual arises in the United States, most notably during the State of the Union Address or a full joint session of Congress and all senior US Government officials including the President of the United States (POTUS). One cabinet member, usually one with a low/minority post and a ‘true-blue’ Presidential Candidate individual–that is, above 35 and USA born–will not attend the glorious session but be kept in an unknown bunker, with a host of Secret Service Agents and a copy of the nuclear football. Should, God forbid, POTUS and or the Congress be killed by a nuclear warhead or warheads or terrorist bomb or end of the world device, this individual will be the acting POTUS. The US of A still has a leader. See this news article for instance and the list of US Cabinet Secretaries who failed to attend the State of the Union Address. How about the British Context? A general answer is no, from quick checks, there is no DS equivalent for major UK events, say the State Opening of Parliament. However, in the above twitter thread, this tweet answered that the “Vice Chamberlain of the Household …is the parliamentary ‘hostage’ for the State Opening of Parliament”. Ok yes, by convention, the Vice Chamberlain of the Household, who is is a senior whip, is held captive in Buckingham Palace, that is, he or she does not attending the event. But, there is no clear suggestion that the Vice Chamberlain of the Household will assume the role of acting Prime Minister of the United Kingdom of Great Britain and Northern Ireland, should the presiding Prime Minister, again God forbid, be incapacitated or killed out right during this event or other major events. My good contact, @TheSecurocrat provided his view here, which may be a closer answer but still leaves the debate open. Back to the question: Isn’t this a worry for the British leadership? Yes, some may say. Tensions are high right now, threats are coming from Russia, global terrorism and other areas of extremism. The current threat level, as of this post on 21/4/2018, is severe, one level before there is an imminent attack. Should there really be an attack on the senior leadership of the UK, who will replace the PM immediately? Who would advise on leading the country or even detail a retaliation against adversary, perhaps even ordering a SLBM strike from the SSBN on patrol? The title of Deputy Prime Minister [DPM] is sometimes given to a senior minister in the Government, for example the deputy leader of the party in government or the leader of the smaller party in a coalition. The role of the Deputy Prime Minister is sometimes combined with other roles, but responsibilities will vary according to the circumstances….The fact that a person has the title of Deputy Prime Minister does not constrain the Sovereign’s power to appoint a successor to a Prime Minister. The first and last line assets that a) there is no compulsory position for a UK DPM for any PM and b) the Sovereign appoints the next UK Prime Minster and all Prime Ministers even if there is a DPM. The again is the same for the ‘senior’ position of First Secretary of State (Cabinet Manual, 3.12). In the US, it is clear that if the POTUS is impeached, ill, or has passed away, the Vice President assumes his position or in the case of the major events, the DS. This naturally leads to critics wondering again: Should the PM be unfit (eg be medically ill or sick) or really murdered, who will take his or her place? The PM after all, directs the nation, the UK’s position globally, and especially the armed forces. Well, looking down in the history of British PMs, some had Deputy Prime Ministers like Churchill, Atlee, Eden, Macmillian, Thatcher, Major, Blair and of course, Cameron, naturally appointed a DPM from another political party given his coalition government. Macmillian, Wilson, Major, Blair, Brown and Cameron all also had First Secretaries of State, many of these were also DPMs before. For PMs without a clear DPM or First Secretary of State, they do still have a designated ‘deputy’, who appears prominently during Prime Ministers Questions when their boss is away. For example, Harriet Harman deputised for Gordon Brown in March 2009. In the case where there’s no clear deputy mentioned by the PM or found by the media, the deputy is usually the Chancellor of the Exchequer. But really, does the UK need to copy the US and have a Designated Survivor during major events? One must realise that the DS in the US (and maybe in Russia and in China) isn’t just the leader-in-waiting during high-profile events, but part of the wider US Continuity of Government (COG) plan. This link gives a very detailed description of COG and COG is used almost daily, especially when the POTUS travels abroad. A US DS, as mentioned above, will be next to the nuclear football, formally known as the Presidential Emergency Satchel. He or she will be explained by the Football Carrier and possibly nearby senior military officers, the evacuation procedures and quite possibly, the range of targets for a nuclear attack or counterattack using ICBMs, SLBMs, B-2, B-52 bombers and in the future, B-21s. He or she will direct US Armed Forces, the US finances and the the whole might of the US nation after the elected POTUS. This is so because the US, whatever crises or wars it has been through, is still a reigning superpower and COG allows such power to be maintained and therefore a DS plays a crucial part in it. What about the UK? The UK is not a mighty superpower it once was but is a P5 member on the UN Security Council, a leading member of the World Bank and the IMF, the G7.8/20 and so on. Yet, it nothing on the scale of the US, Russia or China, even as it should not falter in its efforts of being a major power. What I mean is, the UK does not, inasmuch as it tries, match might of the US of A. It does not have a nuclear triad like the US, Russia or China, and therefore there officially does not exist a UK equivalent of the nuclear football for any UK PM. The UK doesn’t have the range of conventional and strategic command and control a US POTUS or DS has or will have respectively. I mean, there is no UK equivalent of the E-6 Mercury or E-4 E–4 Advanced Airborne Command Post for the UK PM. The British PM does not even have a dedicated Air Force One like a POTUS has–don’t try to argue that the Cam or May Force One is the same as the VC-25s! But, critics cry again, there have been times the UK and US leadership has been threaten and several US Presidents have been assassinated, most famously John F Kennedy. Recent files showed that the Soviets feared a random US General might have launched a nuclear strike on the Soviet Union immediately after his death. COG was more recently used in the September 11 attacks. Richard Clarke, the then National Coordinator for Security, Infrastructure Protection, and Counter-terrorism, initiated COG, which resulted in the then Speaker of the House, Denis Hastert, evacuated to a secure location and other Cabinet officials moved to alternative sites. (Read Clarke R. A, 2004, Against all Enemies, The Free Press, paperback version pp.7-9). Most recently, in fiction, Tom Kirkman, played by actor Kiefer Sutherland, was elevated from Secretary of Housing and Urban Development to POTUS due to an (spoilers!) American terrorist attack during the State of the Union address. If the ‘leader of the Free World’ can be threatened or killed, what about the UK PM? A Designated Survivor in fiction: Tom Kirkman (Kiefer Sutherland) as the sudden President of the United States. This is most definitely the TV series Brown was watching and therefore tweeted about it. (All copyright is own by ABC). Much more recently, after the Cold War, after the September 11 attacks, after the 2003 Iraq War, yes, there was an attempt to structure the British Cabinet and parliament so that there would be a line of succession after the PM. This award goes to Peter Bone, MP for Wellingborough, who wondered what would happen if the then Prime Minister, David Cameron would be incapacitated or killed. Would Nick Clegg, the then Deputy Prime Minister of the United Kingdom, the Liberal Democrat leader, take over the coalition government which was Conservative Party-led? Drop your “morbid fascination” was the parliamentary reply from Clegg and the then PM. Cameron also added, “[a]ll I can say is that I have no plans to be incapacitated.” Bone still was undeterred and proposed this Prime Minister (Replacement) bill two years later, structuring who would be Prime Minister should the sitting PM be incapacitated or killed. You can review a debate of the bill here. Thankfully, Mr Cameron never got injured (only struck by a jogger) or killed in office. Bone continued to raise this issue with David Cameron again in September 2015 who would replace him if he was was killed. No answer. At present, Bone is still a MP today and still has this bill in mind as of 5 September 2017. One wonders if he will ask Theresa May the same question, give that she has not appointed a DPM or First Secretary of State after Damian Green resigned. So that’s the recent history of attempts on the lives the British PM. There’s no fictional TV series or movie about British Designated Survivors (I could be wrong though). Do we still worry who will be in charge should there be a disaster or a London has fallen event? (I actually hate that movie by the way.) After 2010, there was the creation of the UK National Security Council which is ministers-staff and has sub-committees on threats and emergency procedures, so that all Ministers work in coordination and known what to do in the event of emergencies. But who does the rest of the wider UK government and armed forces trust during a huge disaster/strike? A UK-style Designated Survivor for large important events such as the State Opening of Parliament or major events may be relevant. Yet, the UK’s military, economic and political in the the world is not the same as the US of A, and one must remember the Designated Survivor is a position within the wider scope of the constant US Continuity of Government. The UK may have its own version COG, but keeping a DS for events will be costly and quite frankly not needed. Across the UK’s parliamentary and Prime Minister’s history, it has survived through not just State Opening of Parliaments, but two World Wars and a range of other crises. Get a fixed deputy in charge? No,the Prime Minister of the day is decided and appointed by his or her Majesty. Mr Peter Bone’s queries and plan, as thoughtful and relevant as it is, was more to ensure that no one individual who is not related to the Conservative Party replaces Cameron or May, not so much caring for a true UK-style Designated Survivor. The British Armed Forces, inasmuch as it is under civilian control, looks to the Sovereign of the day as their Commander-in-Chief. In the case of any crisis or emergency, I am sure all participants, from the military to down to the person in the street, will have a PM or leader in charge. Perhaps one day, there will be a changed role for the UK globally and thus a constitutional change that requires an awaiting person to be PM if and if the Prime Minister is insane, injured or killed. As of British political history and now, there is just no need for a Designated Survivor or a US-style Continuity of Government.